Adam Hunt was on a roll in Bad Wiessee, on 5/5, having beaten GM Martin Krämer in Round 5. But in Round 6 he lost to second seed GM Evgeny Romanov (2667). 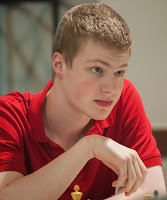 Tomorrow in Round 7 (out of nine) Adam plays his third GM in a row, Robert Kempinski (2522). A couple of good results and a GM norm may be achievable. There are 7 players on 5½/6 and 18 players on 5 points, including Adam. Justin Tan has now scored 4 points. You can check the results late tomorrow evening here. Suffolk clubs playing in the Bury Area Chess League have had mixed results so far. In Division 1, where for the first time ever Bury St Edmunds are fielding more teams (3) than Cambridge City (2), the lead is currently held by last season's champions Linton A. After two matches Bury St Edmunds Scarabs are on five points, just half a point behind second-placed Cambridge Choristers. In Division 2, Bury St Edmunds Vipers are third and Newmarket Stallions, having lost their only match to date, are in last place. In Division 3, Stowmarket are just half a point behind leaders Cambridge Gowns. John Peters (Bury St Edmunds) and Vicky Allen (Stowmarket) are the only Suffolk players on 100% from two games. Click on the Division links to view the current league tables. Alan Merry has won the IM tournament in Majorca, on tie-break, scoring 6½ points out of 9 (four wins and five draws). Sixth seed of the ten competitors, his 2459 rating performance was exceptional and has earned him a deserved second IM norm. He now needs one more for an IM title, as well as improving his rating to 2400. The 30 points he gained in Majorca has raised his current 'live' rating to 2327. The full cross-table can be viewed here. 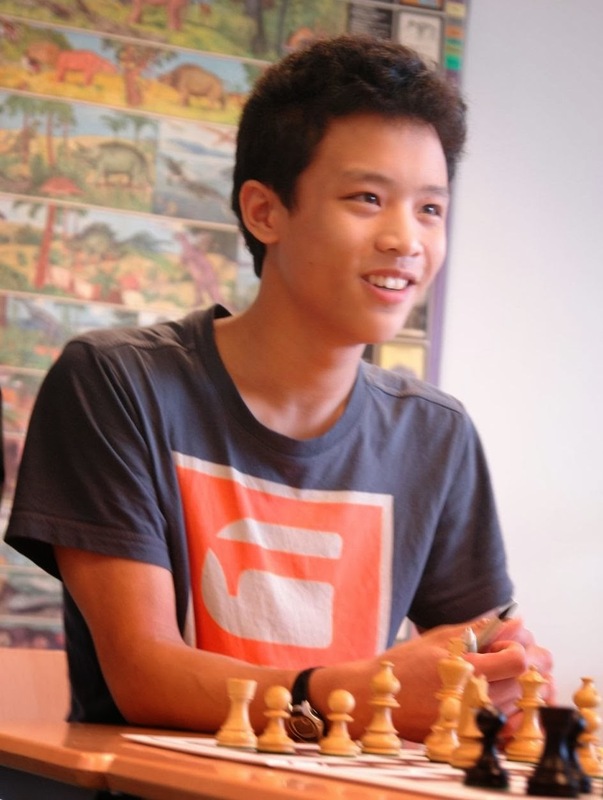 Meanwhile, in Bavaria, Adam Hunt and Justin Tan both won yesterday against moderate opposition and play their second round matches today against opponents rated 2050 and 2006. The results can be seen here. IM Adam Hunt and FM Justin Tan (both Woodbridge School) are playing in the huge Bavarian International Open Chess Championship in Bad Wiessee, Germany, which starts today. 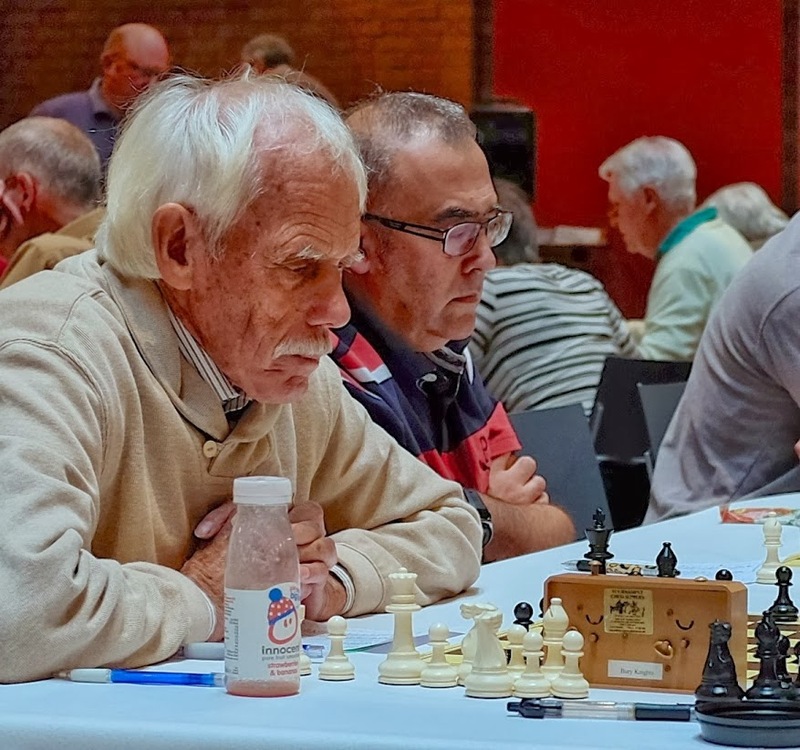 There are 478 entrants in the Open, including 20 Grandmasters (and two Women's Grandmasters)! The event is over nine rounds, finishing on 3 November. Adam is seeded 30th and Justin 51st. The tournament website is here; hopefully it will carry round by round updates. 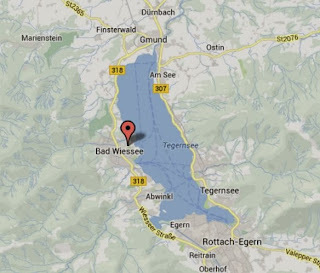 Bad Wiessee sounds an idyllic location. 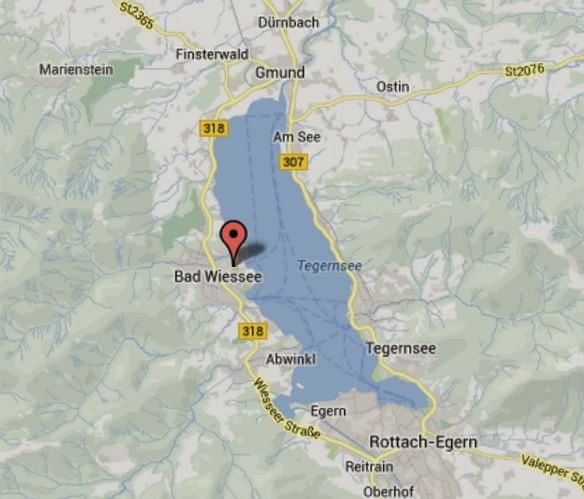 According to the website, "Lake Tegernsee is 6.5 km long, 1.4 km wide and fed by crystal-clear alpine brooks. Its south end is bordered by impressive Mts. Wallberg, Leonhardstein and Hirschberg. From authentic traditions to alpine sophistication, from lively culture to unspoiled nature, this exclusive region charms its visitors with its sheer diversity and many assets in terms of pleasure, wellbeing, glamour and good fun. As Bavaria’s first and only Gourmet Region, the Tegernsee Valley treats its guests to outstanding culinary diversity, from high quality regional produce to exquisite gourmet restaurants, cosy mountain inns and beer gardens with lake views. At the picturesque ponds beside the Kreuth fish farm, guests can enjoy smoked vendace or buy freshly caught fish for home-cooking. The TegernseerLand dairy delights visitors with organic speciality cheeses. Fabulous lake vistas, Bavarian delicatessen and freshly tapped beer are on offer at Tegernsee Town’s 355-year old beer hall called Herzogliches Bräustüber." After seven rounds of the IM tournament in Majorca, Alan Merry sits proudly on top of the ranking crosstable, with five points. He now needs a win and a draw from his final two rounds to attain his second IM norm. So far Alan has gained 27 rating points, taking his 'live' rating to 2324, his highest-ever. His opponents in the ten-person All-plays-All event includes three IMs. Alan has now played all three, scoring a win and two draws against them! 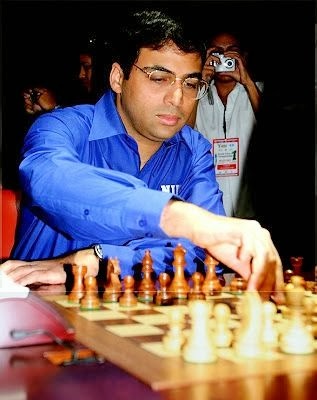 In his last rounds, he plays the two players currently at the foot of the crosstable. The eighth round is tomorrow (Saturday) evening, with the final round on Sunday morning. The results are published here. 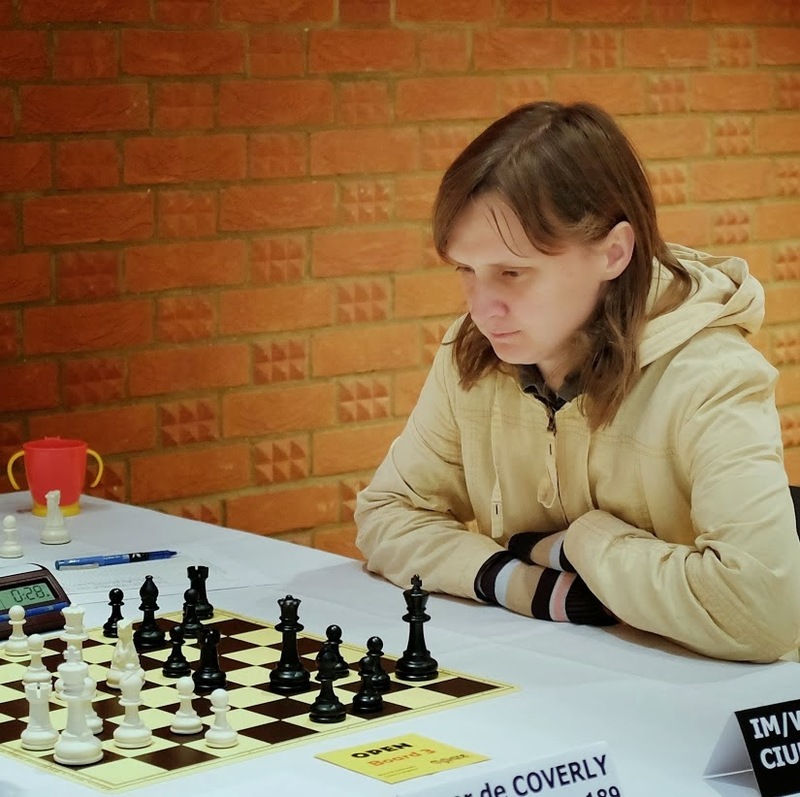 Dagne Ciuksyte (right), Suffolk's only Women's Grandmaster, has been selected to play for England on Board 1 in the forthcoming European Team Championships, taking place in Warsaw from 8 to 17 November. The other members of the team are WIM Sabrina Chevannes, WGM Anya Corke, WFM Meri Grigoryan and WFM Kanwal Bhatia. The English entry to this event has been in some doubt, due to financial limitations, but these appear to have been solved and the team will now travel. You can read more about the on-off-on nature of this team's entry here on the ECF Forum. Meanwhile, over in sunny Majorca (where the temperature is 29 degrees today), Alan Merry is nearly halfway through his all-plays-all IM tournament. With two wins and two draws to date, he is handily placed for his target of 6½ points that will earn him a second IM norm. Alan is currently in second place, half a point behind top seed IM Pedro Mascaro (Spain), whom he has yet to play. Still on international matters (but not directly chess related), last Sunday Bury St Edmunds' Mike Harris competed in (and completed!) the Amsterdam Marathon. Congratulations Mike! Finally, German born Yvonne Freiherr (Bury St Edmunds) returned to her native country in September to get married. She will now be known as Yvonne Freiherr-Fenton (Dave Wild please note). Through the sole initiative of a sixth-former, a new chess club has been formed at King Edward VI School in Bury St Edmunds. Held every Monday lunchtime in the school's Learning Centre, it is proving very popular, with twenty of more boys and girls attending each week. At present they are using a variety of chess sets, some very small, others huge, as in a Harry Potter set! The Headteacher, Geoff Barton, is considering the purchase of some modern sets. One the school's Teaching Assistants, Sam Starling, the mother of one of the members of the Bury Knights Junior Chess Club, also comes along to help. A number of ex-members of the Junior Club now attend this Upper School and are renewing their interest in the game, which is good to see. I'm hoping that this trend continues, and more schools take up the initiative of forming a chess club. It's a good time of year to do this, because playing chess indoors has its attractions when the alternative is a cold and damp playground! 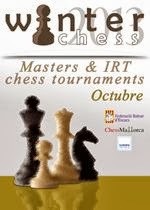 Alan Merry is currently playing in the WinterChess IM tournament in Majorca. It's a ten-player all-plays-all event, which includes three IMs and five FMs. It started yesterday evening, with sixth-seeded Alan having the Black pieces against the 22-year old second seed IM Tigran Simonian (2416) from Armenia. And yes, Alan WON! In round 2, which starts at 10.00 this morning, Alan faces the only other English entrant, 14-year old Ravi Haria from Barnet, again with Black. The games continue with either one or two games each day, with the final (ninth) round on 27 October. 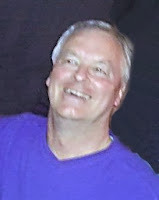 Alan needs a score of 6½/9 to obtain his second IM norm. You can follow his progress here. Although the League season has now been underway for the best part of a month, most teams have only played a couple of matches. So perhaps it's a bit early to jump to any conclusions. No team appears to be streaking away; if fact most results have been very close, with 35% of the matches ending in 2 - 2 draws. Of the 17 matches played to date, there have been no 4 - 0 wins, and just one 3½-½ scoreline. In Division 1, four teams have played twice whilst two teams (Ipswich C and Manningtree A) have only played one game. Perhaps the biggest surprise is the apparent loss of form by current Champions Ipswich A. Unbeaten last season, they have lost both their opening matches, with three of the same team members present (Gregory, Clapham, Jones L). The two Bury St Edmunds teams share top spot on 4½ points. See the latest table here. In Division 2, Sudbury head the table with 6½ points from three matches, but Stowmarket A are close behind with a game in hand. The latest table is here. Division 3 is headed by Stowmarket Rooks, who hold a narrow lead over Bury St Edmunds D. The current table can be viewed here. The Cambridgeshire Rapidplay tournament took place today at Whittlesford Village Hall. There were 13 Suffolk-based entrants, out of a total of 76. The Laws of Chess have been revised and will come into force on 1 July 2014. These revisions should have been effective in July 2013, but due to drafting problems their implementation has been delayed until next year. It should be appreciated that the Laws of Chess that emanate from FIDE are not always fully implemented in the UK. For example, the 'zero tolerance' rule, whereby a player is defaulted if he arrives at the board a few seconds late, never applies here. Leagues and congresses usually stipulate the default time, say 30 minutes or an hour. Anyway, the main changes for July 2014 are compared below with the existing (2009) rules. Local leagues will need to consider if they are appropriate for evening chess. FIDE-rated events, such as the 4NCL and the e2e4 Congresses, will probably need to take them all on board. 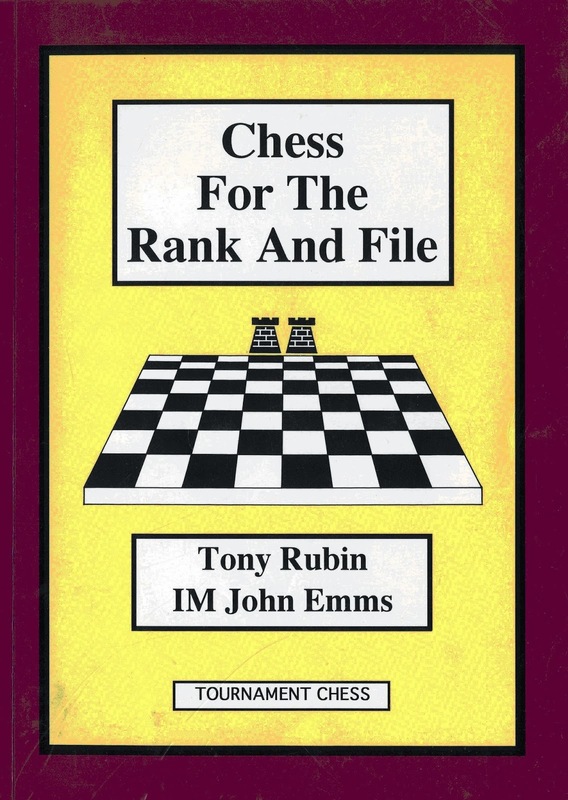 4.6 Promoting a pawn (New rule) The pawn does not have to be placed on the eighth rank; removing the pawn and putting the new piece on the arrival square can be done in any order. 6.2a Completed moves (Not specified) If an opponent makes his move before the first player has pressed the clock, the first player's move is deemed to have been completed. 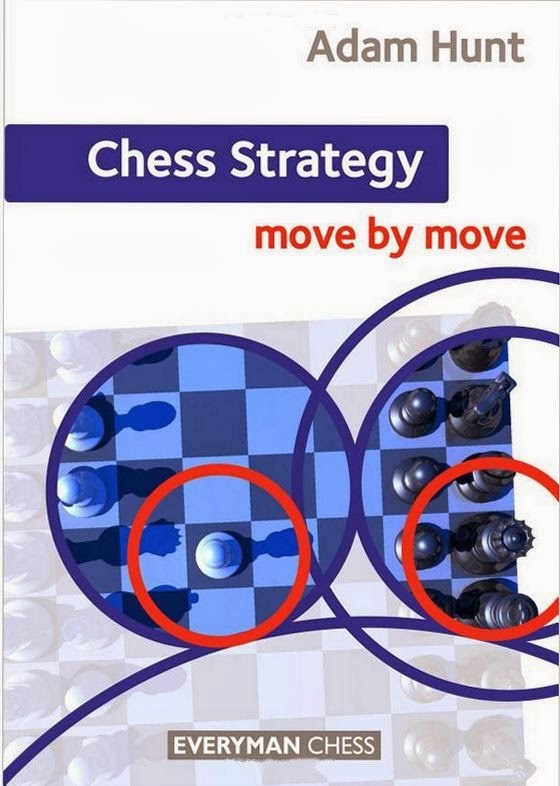 7.5b Illegal moves Three illegal moves automatically lose the game. Two illegal moves will lose the game. 9.5 Stopping the clocks If a player claims a draw as in Article 9.2 or 9.3 he may stop both clocks. The arbiter may stop the clocks if a player claims a draw but forgets to stop the clocks. (Some arbiters refuse to discuss the claim if the player has forgotten to stop the clocks). 9.6 Draw claims (New rule) If no draw claim is made after five consecutive alternate moves, or after 75 moves have been completed by each player without any pawn being moved or any capture, then the arbiter will declare the game drawn. (Games could in theory continue for ever if no claim is made). 10 (old) The 'two-minute' rule Claiming a draw with less than two minutes remaining if the opponent is not trying to win 'by normal means'. This has been moved to a new Appendix G, but can still apply in games with a quickplay finish. 11.3b Mobile phones If a phone makes a sound during play, the game is lost for the player concerned. During play, a player is forbidden to have a mobile phone and/or other electronic means of communication in the playing venue. He shall lose the game if he does. In certain circumstances, the arbiter may require the player to be searched. This is a much more stringent rule, aimed at preventing suspected cheating. 12.2 Role of the arbiter (Additions to existing rule) The arbiter shall ensure fair play; and take special measures in the interests of disabled players and those who need medical attention. Appendix A1 Rapidplay definition At least 15 minutes to less than 60 minutes. More than 10 minutes and less than 60 minutes. Appendix A4a Board/Clock in RP Once three moves have been made by each player, board positions and clock settings remain, even if wrongly set at the start. Once ten moves have been made by each player, board positions and clock settings remain, even if wrongly set at the start. Appendix A4b Calling an illegal move in RP The arbiter may not call an illegal move in Rapidplay. The arbiter can call an illegal move and declare the game lost, provided the opponent has not made his next move. Appendix B1 Blitz times Blitz is a game where all moves must be completed in 10 minutes or less for each player. A game with allotted time plus 60 times any increment is still a Blitz game provided this is 10 minutes or less (eg 5 minutes + 5 second increment). Appendix G4 Introduction of a time delay (New) If a player having the move has less than two minutes left on his clock, he may request a time delay of five seconds per move be introduced for both players (if possible) The opponent is then awarded two extra minutes and the game continues. Appendix G5 Appeals Under the old Rule 10.2 it was not possible to appeal an arbiter's decision Appeals are now permitted. Many other rules have been 'tidied up' by minor revisions to the wording. The new Laws have been published on the FIDE website, with all changes conveniently highlighted in yellow. Suffolk will have an Under 100 team this season! Felixstowe secretary Dave Robertson (below) has agreed to be captain of the eight-board team (subject to approval by the SCCA Committee). Regular readers will remember an article here a month or so ago. Two matches will take place at the Turner Hall, Newmarket, on Sunday 26 January and Sunday 16 March. If any of the above see this, you can save him time by contacting Dave yourself. Twenty years ago there were more than 50 schools in Suffolk that had active chess clubs. Nowadays, the number is considerably lower. I am trying to collate a full list of all schools in the county where chess is played on a regular (at least weekly) basis. Below is a list (incomplete I'm sure) of known schools. Here you can help, because there may be a school near you where chess is played that I haven't heard about. For example, there may be schools in Newmarket, Hadleigh, Sudbury, Felixstowe, Saxmundham, and elsewhere. Please let me know if you know of any chess-playing schools not listed. Woodbridge School / Abbey Prep. Well, that's a reasonable start. Looking forward to hearing of more schools. 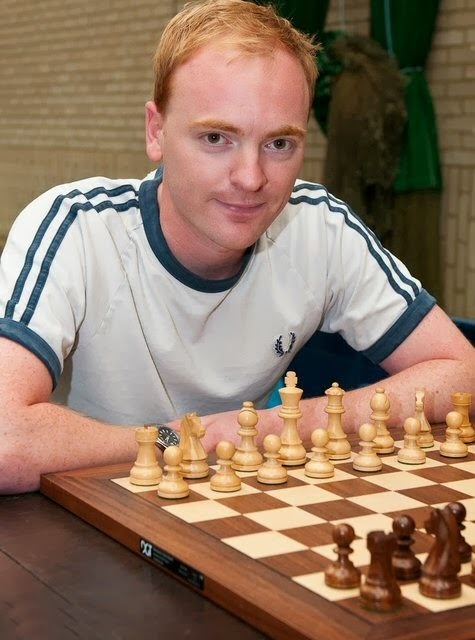 The new President of the English Chess Federation is an American - Andrew Paulson. As reported yesterday, he was elected to the position at the Annual General Meeting of the ECF last Saturday. There has been considerable concern expressed on the ECF Forum by people who see him as a silver-tongued entrepreneur. They doubt his ability to 'last' in the job and believe he's just in it for the glory (and perhaps, money). On the other hand, many other people see him as dynamic - just the boost that is needed for the rather stick-in-the-mud ECF. We'll see. Back in November last year, the Daily Mail ran an article on chess, featuring Andrew Paulson. You can read it here. 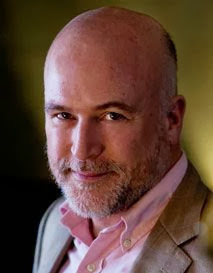 The new Chief Executive Officer of the ECF is Phil Ehr, formerly the Junior Director. He will need to work closely with AP. But that shouldn't be too much of a problem, as Phil is American too! Interesting days ahead. Saturday's meeting in London was well attended meeting and for once it had a Chairman who was prepared to be firm and restrict the time people had to speak. That did not stop some pursuing their own agendas or the new people to the meeting who wanted to take over in order to impress (but failing in both!). Mike Gunn, the Chairman, was standing down so it will be interesting as to how future meetings are controlled. We started an hour early and just managed to finish on time. Quite an achievement. Firstly, the NCCU proposal regarding the County Championships was considered. You may recall that I attended a Skype meeting that the NCCU did not attend and in which all the other Unions were against the proposals. At the AGM we first went through the process of amending and then further amending the proposals until it went to vote and was defeated. So it is back to the status quo and a waste of everybody's time. The ECF is still seeking Charitable status and intends to appoint someone to ensure it is properly considered and implemented. This may be a paid position in view of the importance of the issue. With the Permanent Invested Fund Trust coming up for renewal next year there is a need to have something in place at that time so that the ECF's investments are properly targeted. Also, having disposed of the role of Non Executive Chairman, the ECF wants to appoint a Commercial Director. The ides of this is to generate some funds and to remove the Marketing position which has never succeeded. If you are interested the position is due to be advertised. The Elections were treated as hustings and we had one vote on all the candidates at the end. This meant I could use my total of 11 votes. Andrew Paulson had gone on a charm offensive leading up to the meeting (including spending over an hour on the phone with me - still not sure what it was we talked about for so long!) and held a session in the bar at the venue prior to the meeting. In the voting for ECF President he managed to defeat Roger Edwards. While Roger is a nice man he does not have the dynamism of Andrew. It remains to be seen if Andrew becomes frustrated with the ECF bureaucracy and leaves after a year. For the CEO post Phil Ehr was elected overwhelmingly. I think that Andrew Moore decided that he was going to lose as he did not turn up for the meeting. The Non-Executive positions had two new candidates. They both spoke but seemed to think that their role was to confront the Board rather than work with them. I had intended voting for Jack Rudd but he performed badly when speaking and justifying what he had done. Jack does have health problems and it seemed he was suffering on the day. Sadly he polled the lowest number of votes and Sean Hewitt and Julian Clissold were elected. I hope that ECF does find another role for Jack as he is keen to remain involved. There was an issue regarding the Women's team for the European Team Championships which has been was withdrawn due to lack of funds. The Director had a difficult decision to make but hopes in future to have more funds in place. When the ECF awards were announced I did raise that the ECF had not publicised the awards which led to only the President's Award receiving nominations. They claimed not to have been aware of the other awards despite my sending in a briefing paper after standing down last year. I think they got the point that it is a poor organisation that does not recognise the achievements of its members. Finally, the ECF will be looking at the 'one member one vote' issue (though I doubt most members will welcome it) and a Board decision requiring membership in the Schools' Championship run by ECF was overturned. The next ECF meeting is on 12 April 2014. 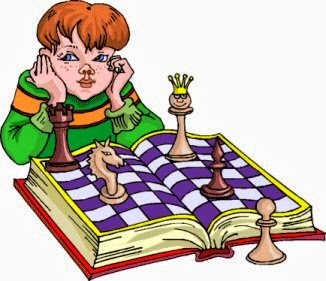 How is it that 40 children attend the weekly Bury Knights Junior Chess Club, whilst the Ipswich Junior Chess Club has folded due to lack of interest? Compare the size of town: Bury St Edmunds' population is about 35,000, whilst Ipswich has some 135,000 inhabitants. That's nearly four times bigger. Ipswich should therefore have some 150 children clamouring to play chess. 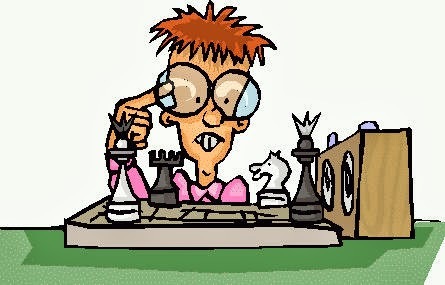 Let's face it; the problem comes down to lack of interest NOT by the children, but by adult chess players. A junior chess club in a town the size of Ipswich is perfectly viable. It just needs someone with that spark of enthusiasm to get it going. One of Ipswich's best juniors, currently, is 11-year old Alex Sheerin (graded 121). And where does he come to play chess every Friday evening? All the way to the Bury Knights. It's crazy: he should be able to go to a junior club in his home town, rather than have to make a weekly 50-mile round trip. So here's a challenge to Ipswich-based adult chess players. If you want chess to survive in your town, get the Junior Club up and running again. Don't leave it to others; stand up and do something about it! By the way, the club's website is still active, although the information there is way out of date. Last season saw four Suffolk-based teams competing in the 4NCL League; this season there will be five. The Anglian Avengers will again be fielding three teams, one in Division 2 and the others in Division 3. The Division 2 team had a highly successful season in 2012/13, only succumbing at the last hurdle when promotion seemed a distinct possibility. Eventually they finished in fifth place. Anglian Avengers 2 also performed well, finishing in seventh place (out of 49), with Anglian Avengers 3 down in 32nd place. The other local team, Iceni, ended the season in mid-table, in 22nd place. Iceni will be fielding a second team this year, also in Division 3. The two Team Managers for these teams are Ian Wallis (Anglian Avengers) and John Feavyour (Iceni). Any players wishing to join either of these squads should make contact as soon as possible. Not all team members are from Suffolk; they include players from Cambridgeshire and further afield. The first round of matches takes place on 16/17 November. The Division 2 team is playing at Hinckley, whilst the Division 3 teams are playing at Daventry. Another new team has been formed in Norfolk - Broadland . This will be the first Norfolk-based team to play in the 4NCL. With funds provided by the generosity of the late Sir George Thomas (now administered by the British Chess Educational Trust) the English Chess Federation annually makes awards each worth over £200 to schools and clubs which have shown outstanding achievements or enthusiasm in chess. 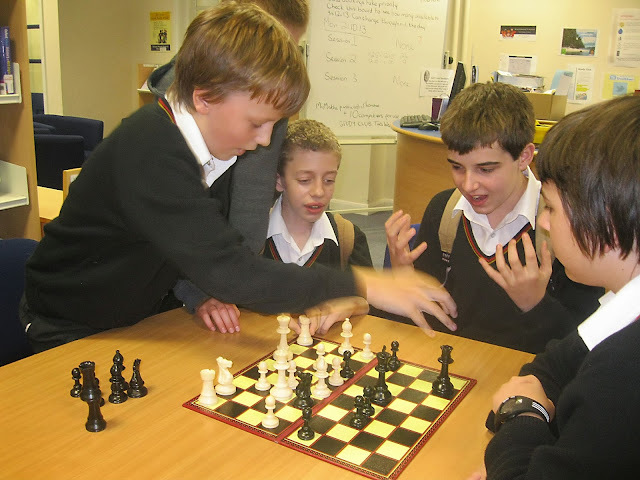 The Bury Knights Junior Chess Club was formed 21 years ago and is still going strong. A proposal for an award was sent by Bob Jones back in March this year to the BCET; this was approved in August. 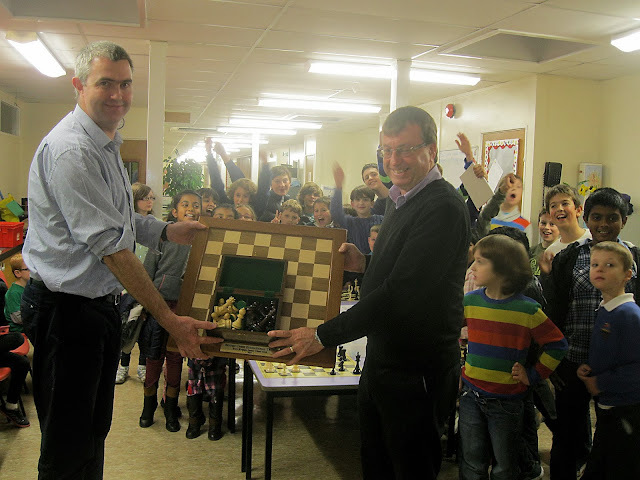 At yesterday's weekly meeting a wooden chess board and pieces, and a digital clock, were presented to the Club. Pictured above is Club Chairman Damian Wallace (left) and EACU Chairman and BCET Trustee, John Wickham, who travelled from Norwich to present the award. Behind can be seen some of the 40+ members of the Club. It is planned to use the board and pieces on the top board of the Bury St Edmunds Junior Congress, to be held early next year. This time it's the turn of Sudbury Chess Club. 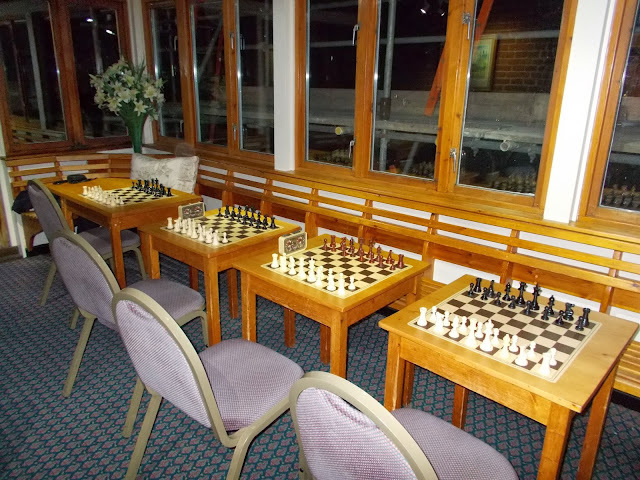 After trying out most of the local halls and pubs, Sudbury Chess Club has returned to the bar of the Quay Theatre, Quay Lane, Sudbury CO10 2AN, where we meet on Monday evenings at 7.30pm (see photo below). However, matches are still played at All Saints Church Hall, Church Street, Sudbury CO10 2BL (also on Mondays). We have recently created a new website and we hope to develop this in the future to include games, results and articles about the club. In the Summer we held our Rapidplay Club Championships and in between our Suffolk League Division 2 matches we will be running other fun, but competitive competitions throughout the year. We are a small, but friendly club, situated in comfortable surrounding and we welcome new members of any ability. For more information please contact Robert Sanders on 07757603421 or email me. 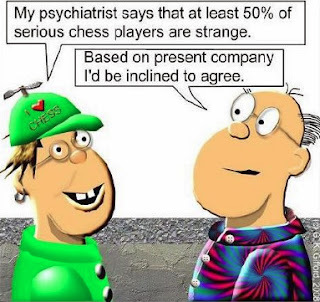 The website is www.sudburychessclub.net. Following an exhausting 10 days in Montenegro, competing in the European Youth Chess Championships, the 23 members of the England Junior team have now returned to the UK. They included Suffolk players Adam Taylor (Manningtree) and Anita Somton (Bury St Edmunds). 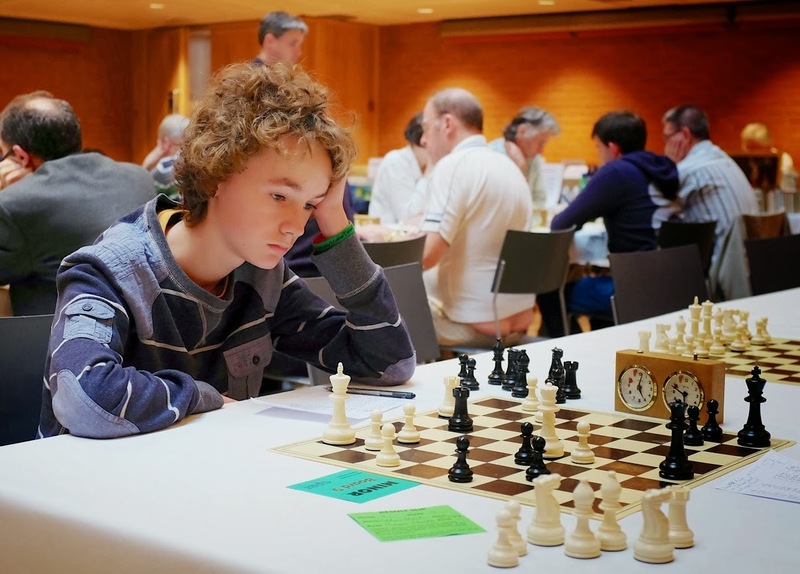 Adam (2034 Elo) played in the Under 16 Open, a strong section which included four IMs and five players with ratings over 2400. Seeded 58th out of 92 competitors, he finished on 4 points out of nine, in joint 52nd place (63rd on tiebreak). Adam's best result was a draw against a German rated 2239. 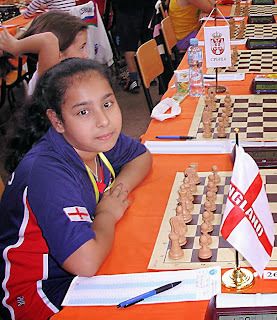 9-year old Anita doesn't have an Elo rating yet, but managed to beat two rated opponents whilst scoring 5 points out of nine in the Under 10 Girls section. She finished in equal 22nd place (32nd on tiebreak) out of 76 competitors. She will be able to compete in the same event next year, as her birthday is after the 1 January deadline. 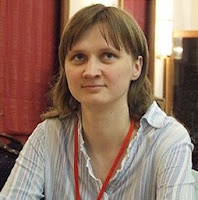 Anita's opponent blundered with 27. Rxa6, to which Anita replied ... Rbxe2! 28. Rxe6 Rxe6 29. Rxe6 Bxe6, and won after 42 moves. 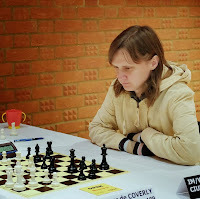 Anita now returns to League chess, where she will be playing this evening in a match for Bury St Edmunds Vipers against Cambridge Bollards in the Bury Area Chess League Division 2. 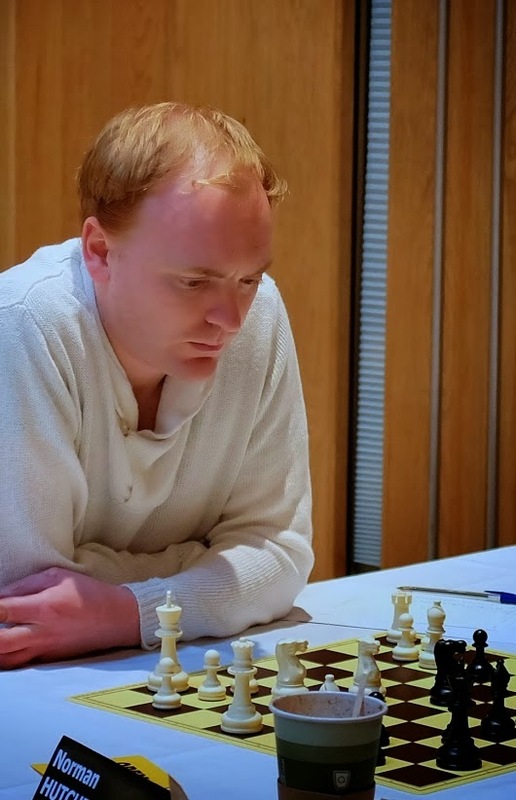 Playing in the Individual event at the 4NCL Rapidplay last Sunday, 16-year old Alan Merry (who has a rapidplay rating of 2252) beat GM Gawain Jones (2649). And Alan had the Black pieces! The full results for the Bury St Edmunds Congress are now available on the Suffolk grading website here. 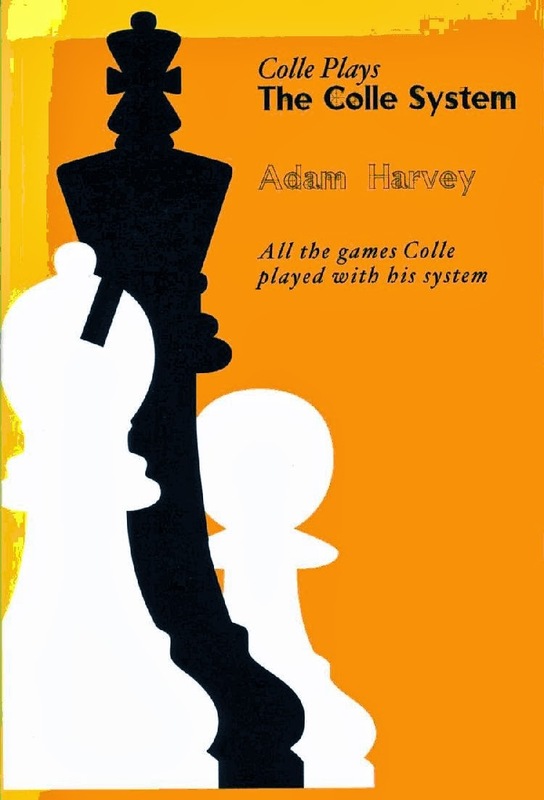 In the Open section, Adam Hunt drew his individual game with GM Alex Cherniaev and finished level with him on 4½ points. Both earned £375 for their efforts. Also in the Open, Dagne Ciuksyte and Shaun Munson scored 3½ points, sharing third place with GM Chris Ward. Ed Player and Mike Harris both scored 3 points. In the Major section, 16-year old Silas Peck scored 3½ points to finish equal 3rd. Further down the list, John Peters, Malcolm Lightfoot, Robert Cope and Kevin Greenacre all scored 3 points. The Intermediate section saw a brilliant performance by Clacton's Mike Coughtrey, who shared second place with four others, despite being graded only 115 (which would have qualified him to play in the Minor section). Charles Richmond, Ed Kirkham, Mark Weidman and Alex Sheerin all scored 3 points. 11-year old Alex enjoyed a 139 grading performance. Colin Gardiner from Newmarket shared first place in the Minor, with 13-year old William Sait from Bury St Edmunds in equal third place on 4 points. William celebrated his 14th birthday the day after the Congress! The photos were taken by Brendan O'Gorman, who played in the Major section. 143 entered across the four sections. 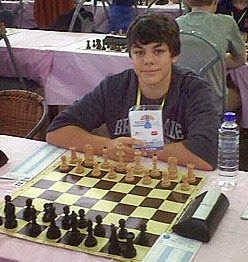 The highest entry was in the Minor (u120) section, with 40 players. More on the event tomorrow. 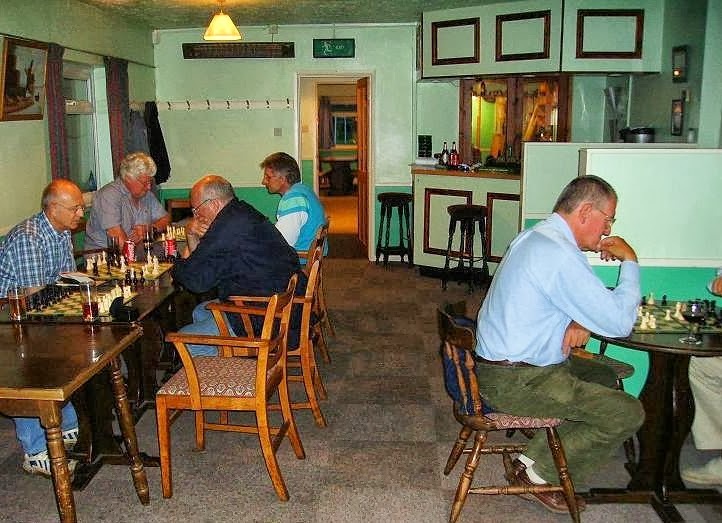 Saxmundham Chess Club meets on Tuesdays between 7.30 pm and 11.00 pm at Benhall & Sternfield Ex-Servicemen’s Club, School Lane, Benhall IP17 1HE, just outside Saxmundham, tel. 01728 602337. Click here to view our website. We are open all the year round and there is usually adequate parking for cars. 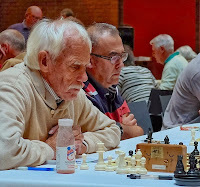 The club is small and friendly and was founded over 50 years ago; it caters for serious and casual players alike, providing opportunities for those who wish to play competitively and for those who simply enjoy playing chess. We currently have 16 members of whom ten are active Suffolk League players. The ‘A’ Team plays in Division 2 and is captained by Andrew Paige and the ‘B’ Team in Division 3 is captained this year by Peter Chadwick. Club officials are John Feavyour (Chairman), Hugo Brown (Secretary) and Geoffrey Lilley (Treasurer). With 145 entries confirmed, the 31st Bury St Edmunds Congress promises to be a success. There are no fewer than nine players graded over 200, including two GMs and two IMs. The full list of entrants can be viewed here. It's not too late to enter, so if you've had a last-minute change of heart, go to the Congress website and pay online. Entries on the day incur a £5.00 surcharge, so don't leave it too late! If you're playing, you may be interested in knowing the colours for the top board in each section. It all depends on the result of a football match this evening! Colours will be determined by the result of the League One match between Sheffield United and Crawley. If the total number of goals scored in the match is even (including a 0-0 draw), then the top player in each section will be White in Round 1. If the total number of goals is odd, then the top player will be Black in Round 1. When we teach youngsters the finer points of the game, we suggest that it's a good idea to exchange pieces if you have a material advantage. Nothing wrong with that, I hear you say. 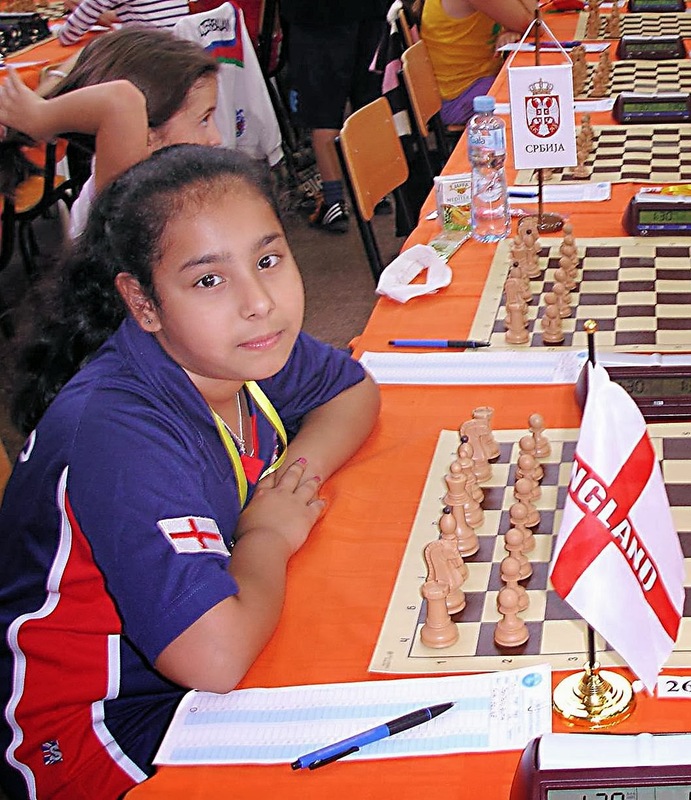 Playing in the European Youth Championships in Montenegro this week, 9-year old Anita Somton was a pawn ahead in her first game, and a knight and a pawn ahead in her second game. But she lost both games because she tried to exchange queens. Anita now played 31. Qxb7?, missing the convincing 31. Qe8+ Bf8 32. Nc6 Ra8 33. Rd8 etc. She later missed a pin and lost the game. After five rounds, Anita is on two points. Manningtree's Adam C Taylor, playing in the Under 16 Open, is on 1½ points. Tomorrow is a rest day; the final four rounds commence on Saturday, finishing on Tuesday. 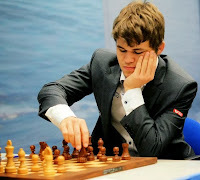 Looking further afield than Suffolk for a change, there are just five weeks to go before the World Chess Championship takes place between the current Champion, Vishwanathan Anand (2775), and the Challenger, Magnus Carlsen (2870). Carlsen qualified to challenge Anand by winning the Candidates Tournament, which took place at the Institution of Engineering and Technology, Savoy Place, London, in March this year. The match will take place in the Hyatt Regency Hotel in Chennai, India, from 6 to 26 November. 12 games are scheduled, one per day, with rest days after games 2, 4, 6, 8, 10 and 11. Should the match be tied after the 12th game on 24 November, tie-break games will be played on the 26th. The time control for the games will give each player 120 minutes for the first 40 moves, 60 minutes for the next 20 moves and 15 minutes for the rest of the game, with an increment of 30 seconds per move starting after move 61. Tie-break games, if played, will have increasingly limited time controls. This is the official website, where you will be able to watch the games live. Not only is Anand nearly 100 rating points adrift, but Carlsen also has a 21-year age advantage! 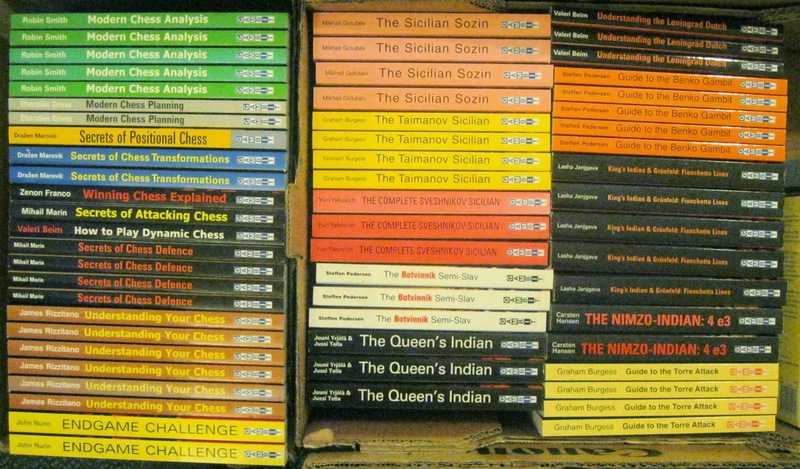 I have acquired a large supply of 'new' chess books. 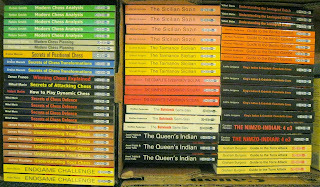 They come from Tournament Chess Supplies, who are trying to 'thin down' their massive stock of books. By 'new', I mean they are mostly in pristine condition, but they are not particularly new in terms of when they were published. They will be on display on the bookstall at the forthcoming Bury St Edmunds Congress. Prices range from £1.00 to £5.00. Some of the books were priced at over £20.00 when published. So even if you're not playing at the Congress, come and have a look at these books. There will be over 500 different titles. The photo shows just two of the boxes; there will be some 10 boxes of books to pore over.